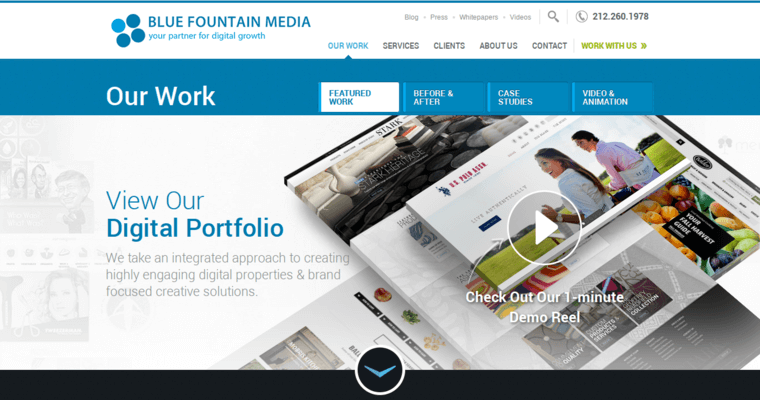 Blue Fountain Media is a digital public relations and marketing agency that specializes heavily in website design. 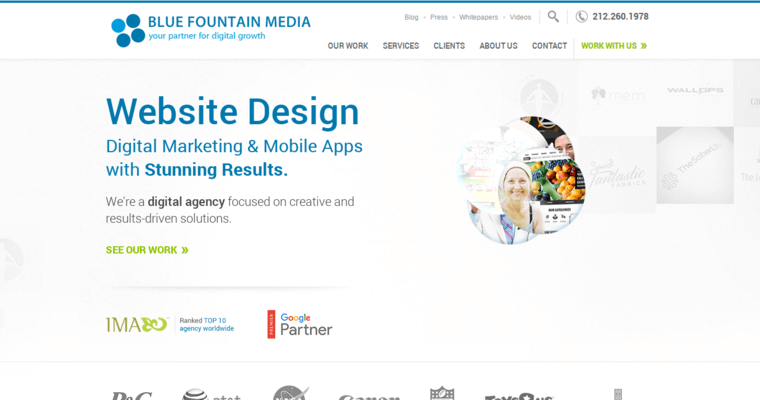 Blue Fountain Media is an agency that likes to emphasize not just digital media and marketing but also making sure that they have a lot of creative and results-driven solutions at the ready for all their clients. Strategy and consulting are some of the major services that are provided by the agency, and here this can start with getting all of the right information needed in order to know who to market a product towards. Brand strategy also includes things like designing a proper brand that looks professional so that audiences will gravitate towards it. 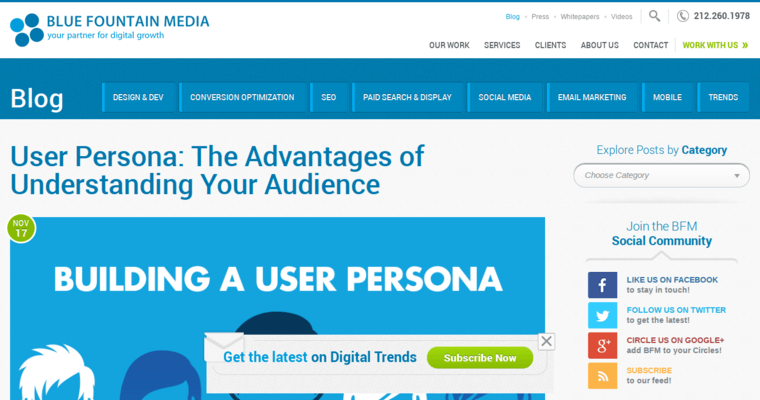 This in turn means that when people search they can also spread the word and thus increase audience growth. Blue Fountain Media has provided content for companies such as NASA, AT&T, Toys R'Us, the NFL, P&G and Canon.